Korea’s biggest idol company SM Entertainment has had a special year in 2011. Last August, SM Town Live World Tour started in Seoul, moved on to America (Los Angeles), China (Shanghai), Japan (Tokyo), France (Paris), meeting with fans from all over the world. In October, they are also going to hold a concert in American pop’s most prestigious venue, New York’s Madison Square Garden. After conquering Asia, the SM members have now become Hallyu missionaries who are spreading their wings on the world stage. We have asked them what their wishes for Chuseok [Korean Thanksgiving] are. Shinee Onew – I wish to continue putting on performances where I can meet with fans up close. It will be great if our fans, and all those who know Shinee, could stay healthy in the coming Chuseok. f(x) Victoria – it’ll be great if everybody who has helped and loved us this past year stays healthy. September 5th was f(x)’s 2nd anniversary. It’s been a blink of an eye. At our 3rd anniversary, I’d like to show everybody a more mature side of us. Girls’ Generation Tiffany – I wish for all the SM family members to be healthy. Please listen a lot to the albums that our seniors and juniors will be making their comebacks with in the coming autumn. BoA – My biggest personal wish is for the editing of my Hollywood debut movie “Cobu 3D” to proceed smoothly. I also hope that the second half of the year will turn out fine and that I’ll be able to meet everybody through good pieces of work. TVXQ’s U-Know Yunho – I hope that from now on, we’ll be able to forever continue this way by holding on to the heart of enjoying and challenging ourselves on stage. Kangta – I have a personal wish. As soon as I was discharged from the military, I commenced activities in China after a long time. Even though I had opportunities in Korea too, they didn’t turn out well. Frankly speaking, I want to get married within 2 years. This wish is different from that of my juniors right? Seems like it’s possible! Super Junior Leeteuk – 3 years ago, my wish was for Shinee to quickly grow up. Haha. Now if you ask me about my wish, I want to stop time as it is right now. Because every single day now is blessed, it’ll be great if time didn’t slip away. And everybody, please become rich~. Gunsan marine police station has been the stage for hit dramas such as “Swallow the Sun”, “All In” and many others, under the direction of acclaimed director Yu Cheol Yong. On November 17th, drama “Poseidon” team along with Gunsan marine police staff is scheduled to film at the police station pier. Although the broadcast date is unknown, the work involving the drama has made “Poseidon” the first marine police drama ever making it a high level drama. With the cast of Eric, Kim Kang Woo, Yunho, Kim Wook Bin, Choi Jae Hwan, Jeon Hye Bin, it is regarded as the most luxurious casting for the 2011 dramas. The filming had to be schedule for those dates due to the G10 summit that would take place the dates of November 11-12, 2010. The Gunsan marine police will be supporting the event in case of an emergency. The drama “Poseidon” is about smuggling, maritime smuggling and fighting crime where they have to risk their lives. In addition, you will witness the sorrows they have to go through as marine officers, the dedication and love they have for their work. An official from the Gunsan coast guard stated, “The filming will not all take place in Gunsan”, “Thanks to the filming of this drama in Gunsan, it has helped promote the Gunsan coast guard, and also the tourism in Gunsan”. Meanwhile, drama “Poseidon” will be filming in the coast guard station in Tong Yeong, and will continue to Busan marine police station on November 15. 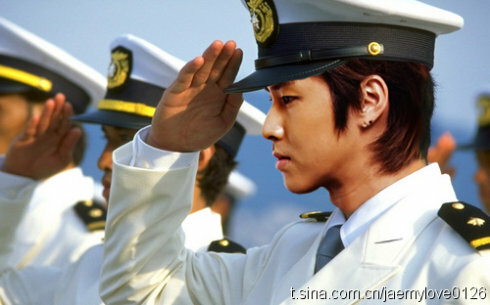 Actors have already received training at the Incheon coast guard station. In addition, “Poseidon” is said to be the most anticipated drama of 2011. 2. Performance rehearsal video (approx. 50 minutes) – Goong preparation~the rehearsal video was recorded during the rehearsal for final day performance. ※ Please note that design and content are subject to change without prior notice. Eric, Kim Kang Woo, U-Know Yunho and Kim Ok Bin have been confirmed for the upcoming drama “Poseidon”. Scheduled for broadcast in the first half of 2011, “Poseidon” is helmed by PD Yoo Chul Yong of “All In”, “H.I.T” and “Swallow the Sun”, and PD Oh Sang Won of “Sad Love Song” and “Oh! Pil Seung And Bong Soon Young”, as well as star writer Jo Gyu Won of “IRIS” fame. Among the male leads, there’s Eric (Mun Jung Hyuk), who had already received several drama offers prior to his discharge from military duty, and had decided to participate in “Poseidon” after his discharge. Eric plays the character of Kim Seon Woo, a cheerful and tough coast guard officer, who is selected to become a part of the coast guard commando team. Kim Kang Woo, who has appeared in the films “Marine Boy” and “The Invincible”, plays Oh Eun Cheol, an elite coast guard commando who graduated from the Coast Guard University at the top of his class, a cool-headed yet soft-hearted character. U-Know Yunho (Jung Yunho) plays Kim Kang Woo’s younger brother Oh Yoon Jae, a diver who works in Japan but returns to Korea to become a coast guard commando. Kim Ok Bin makes her return to the small screen after appearing in the films “Thirst” and “Actresses” with the role of Lee Soo Yoon in the drama, a mysterious and charming coast guard commando with a strong personality. Jeon Hye Bin who last appeared in the dramas “Witch Yoo Hee” and “2009 Hometown Legends”, will play the bright and bubbly Han Eun Bi, an emergency medical technician in the coast guard commando team. The cast members are currently undergoing special training with the help of the Korean Coast Guard to prepare for their roles and making the final preparations to start filming. The supporting cast members of “Poseidon” include Son Hyun Joo, Kim Gab Soo, Park Won Sook and Jin Hee Kyung. [NEWS] 101031 SHINHWA’S ERIC AND DBSK’S YUNHO IN SAME DRAMA? Sometime last week, a video surfaced of Eric, Yunho and Kim Kang Woo training together with Incheon special forces. From this, many speculated the possibility of all three of them being cast together in an upcoming drama ‘Poseidon’. Since this time, Eric and Kim Kang Woo have both been confirmed to take a role with Kim Kang Woo taking the lead. 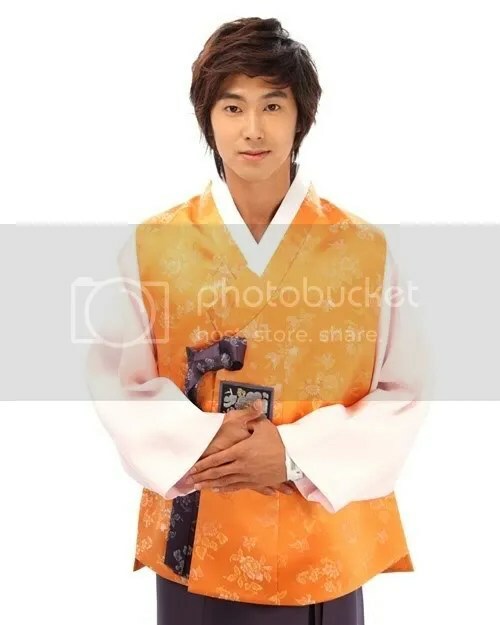 Yunho was also confirmed, but SM Entertainment retracted this and clarified by saying that nothing was finalized. Nonetheless, many people believe there is still a high probability that Yunho will also join the cast. ‘Poseidon’ is set to start airing early next year, and it is Korea’s first series about coast guards. On the 29th afternoon at Gangnam-gu, Seoul U-Know Yunho had a photo session with Cesare designer to commemorate the opening of new Cesare Paciotti branch. Top celebrities namely Jung Yong Hwa, U-Know Yunho, Song Seung Hoon, Kim Jung Eun, and many others visited Cesare Paciotti Cheongdam-dong branch to celebrate the launch of the store. Cesare Paciotti is known as the shoes designer of late top star Michael Jackson. In the launch party event, “Jackson Shoes” is one which drew the most public attention. Cesare Paciotti has been established since 1948, having a line of fashion collections from handmade shoes, jewelry, officewear, underwear, to beachwear. It’s one of Italian luxury brand that becomes world fashion leader and is loved by many Hollywood stars.